Experience a Day at the Races, but not as you know it! Say goodbye to the fancy dresses, killer heels and hats and say hello to your dazzling racing colours as you prepare for our Ladies jockey training camp. This package gives you and your best girls the opportunity to experience A Day at the Races from a whole new perspective. Our Jockey training camp begins with a short presentation showcasing each rider in the group and the colours they will be wearing for the day. The presentation will be prepared by us with some help from the bridesmaid in charge of the hen do. Each rider will also be given a uniquely prepared racing booklet with picture and information on each member of the group. This is the perfect souvenir to take home and remind you of the big day. This part is actually hilarious! It’s time to get dressed up in your racing gear which includes your coloured racing top, matching helmet, racing goggles, jockey boots and of course your jockeys whip. The picture opportunities will keep you laughing for years to come. Once kitted out, its time to head to the stables to be introduced to your fine steed. The bond between jockey and rider is a special one, but don’t worry, we can cater for all riding abilities and can give those not interested in speed a horse that may not win too many races but is safe, sure footed and well mannered. 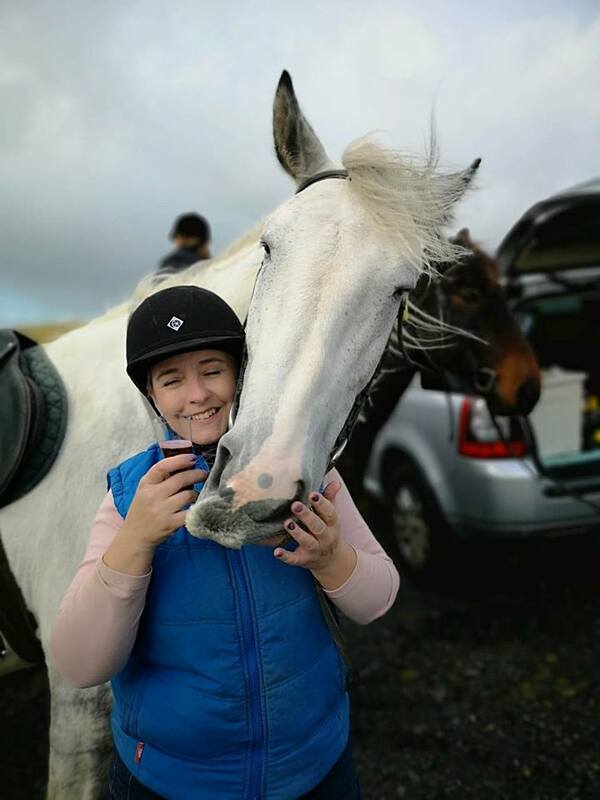 Once we are all mounted and we have taken a few memorable photos, Its time for a short lesson on the basics of horse riding and some important jockey positions, before hitting the trails taking you through the hills around the Glens of Antrim with panoramic views looking out over 5 counties. You will not be able to keep a straight face as you see your girls riding on horseback in full racing gear. Once we return to the stables, allow our experienced instructors to teach your group the rising trot and some jockey positions in the safety of the arenas. This experience is a real crowd pleaser which will bring your group together and get everyone laughing. With the trotting and your jockey positions mastered, its race time. In the safety of our arena and with the help of our instructors, it’s time to put your new found skills to the test around our course to see who will take first place. Smiles and laughter guaranteed her and remember, each rider can go as fast or as slow as they want! Finish the day off in a very refined fashion. Sit back, relax and unwind with a quality afternoon tea guaranteed to hit the spot and make for a perfect end to a great day with your best girls.